Mercury General Corp. reported a loss in the third quarter, largely due to investment losses, but its adjusted results were better than analysts expected. MPG Office Trust Inc. has entered into an agreement with its joint venture partner at downtown L.A.’s One California Plaza and other properties that will enable the partner to sell its interest to a Boston private investment firm. Major events in each commercial submarket in the third quarter. Public money was crucial in building momentum for a Carson mixed-use project. GOVERNMENT: Monrovia property owner throws up roadblock to Gold Line after what he calls an unfair buyout offer. A Monrovia property owner claims he’s being railroaded into selling his site to the Gold Line at a low price. Thanks partly to several construction projects, business leaders see L.A.’s Chinatown as the next district to get a downtownlike buzz. Offspring of PR firm Grody Tellem’s founders launch Tellem Grody. Children of Grody Tellem’s principals had no problem coming up with a new name for their firm: Tellem Grody. Michael Perry uses website to defend his term at failed lender. IndyMac’s under siege former chief exec launches website to tell his side of the bank’s collapse. Staples Center looks at new video screens to boost food sales. Staples Center sports a new look with high-tech video screens in suites and at concession stands. Some brownfield sites have yielded green for developers who were able to allay cleanup costs through partnerships and public money. Former hockey star now heats up things for the L.A. Kings off the ice as president of the NHL franchise’s business operations. Former high-scoring L.A. King Luc Robitaille has made boosting the hockey franchise’s business his new goal. Work-hungry contractors slash project bids. Contractors have cut their bids to land work at LAX – to the benefit of the project’s budget. Database of film, TV listings reacquired by Hollywood.com owners. Owners of Hollywood.com acted quickly to reacquire Baseline’s TV and film credit database. Max Azria says he’s being squeezed out of firm he co-founded. Fashion mogul Max Azria alleges his condom company partners are pulling one over on him. DirecTV to sign state’s largest deal in decade. Satellite TV provider DirecTV appears poised to sign a sky-high lease in El Segundo. Skechers sees sales slip as Shape-ups wear out welcome with buyers. Skechers’ quarterly sales turned flabby after the shoemaker dragged its heels on ditching a line of toning footwear. Toxic 21-acre site stands in the way of city of L.A.’s plan for a clean-tech corridor. City of L.A. enforcement plan could hike violation fines. Landlord and property owners look to slam door on city of L.A.’s proposed higher fees for code violations. In an era of fewer city services, don’t be surprised to see more business improvement districts form in Los Angeles, writes Charles Crumpley. The city of L.A.’s investment in job creation is paying off, writes Mayor Antonio Villaraigosa. OP-ED: Large developments such as a pro football stadium and subway line require CEQA’s strict oversight. Environmental reviews and regulations are most needed for the big projects – some of which may be allowed to avoid them, according to John Mirisch. BANKING & FINANCE: Nara raises $55 million, beats quarter’s Wall Street expectations. Things are looking up for Nara Bank on the eve of its highly anticipated merger. ADVERTISING & PR: LegalZoom will pay $20,000 to air commercials for winning company. Glendale-based website LegalZoom has set up a contest for small-business owners with a prize of $20,000 in TV advertising. Nova’s ski-shaped feet offer chic upgrade for walker-using seniors. Nova offers seniors a step up in style from tennis balls with its ski-shaped feet for walkers. While some Angelenos may have spent Sunday morning nursing a hangover, attorney Zia Modabber was up early orchestrating a charity bike ride for hundreds of cyclists. Stamps.com Inc. hit a new 52-week high on Friday after the online postage and shipping company reported record growth in the third quarter. The Los Angeles Business Journal’s index of largest local public companies made strong gains for a third straight week as European leaders reached a tentative agreement to address the region’s debt crisis. VCA Antech Inc. shares gained 11 percent Friday morning after an analyst upgrade on third-quarter earnings that generally met Wall Street expectations. Helped by revenue growth in its prepaid debit card unit, Green Dot Corp.’s adjusted third-quarter net income exceeded analysts’ forecasts, although revenue was lower than expected. The Walt Disney Co. will launch an advertiser-supported Disney Channel in Russia next year after the company acquired a large stake in a Russian television network. CBRE Group Inc.’s net income rose 12 percent in the third quarter as the real estate services giant saw healthy growth in the units serving its Americas region. Teledyne Technologies Inc.'s third quarter earnings rose 13 percent, boosted by higher revenue at its digital imaging, aerospace and defense businesses. Optimism about the future among business owners and executives in Los Angeles County has plunged in the past eight months, according to a survey by the Los Angeles County Business Federation released Thursday. Occidental Petroleum Corp.’s third-quarter net income jumped nearly 50 percent as the energy company benefited from higher oil prices and record production at its U.S. fields. Reliance Steel & Aluminum Co.'s its third-quarter profit rose on strong demand, but the metals processer dampened expectations for the current quarter due to lower sales and weaker steel prices. Rentech Nitrogen Partners LP, a Rentech Inc. spinoff, announced the launch of an initial public offering that could raise roughly $300 million. Skechers USA Inc.'s third quarter net income fell 77 percent as the shoemaker adjusted to the end of its Tone-Up athletic shoe craze. The results were still better than Wall Street expected. J2 Global Communications Inc. has acquired the online backup business of C Infinity, a Dublin, Ireland provider of online data backup and hosting services for businesses. Avery Dennison Corp. said its third quarter net income fell 22 percent on lower sales of its labeling and sign products. OSI Systems Inc. reported better-than-expected fiscal first quarter earnings, driven by strong sales growth in its security scanner division. DreamWorks Animation SKG Inc.'s third quarter profit fell 51 percent on lower box office and home video sales. Shares of Staar Surgical Co. fell more than 12 percent on Tuesday after the ophthalmic products company reported third quarter profit that fell short of analysts’ expectations. U.S. TelePacific Corp. has completed its acquisition of Texas communications company Tel West Network Services Corp.
Amgen Inc. reported 60 percent lower third quarter income, primarily due to a charge for a planned settlement in a marketing practices investigation. But the drug maker’s adjusted results beat Wall Street expectations. Arrowhead Research Corp. on Monday said it has expanded its genetic medicine business by acquiring the U.S.-based “gene-silencing” unit of Swiss drugmaker Roche. Kennedy Wilson Holdings Inc. on Monday announced the purchase of a distressed commercial loan portfolio from Bank of Ireland for $1.8 billion. Mattel Inc. has agreed to buy HIT Entertainment, the company behind Thomas the Tank Engine and Bob the Builder, in a deal valued at $680 million. City’s rating of local impact could benefit some smaller institutions. L.A. city proposal to grade financial institutions on their local connections has divided big and small banks. Creative pursuits led Mike McNeilly to launch supergraphic ad company Sky Tag, which continues to fight the city of Los Angeles. Ex-fashion photographer Mike McNeilly now creates legal controversies with his company’s supergraphics. Non-profits to vie for money in pitch-styled funding competition. Pitch event will let charities compete for money to fund their social improvement projects. Fresh & Easy to add convenience store-size locations in SoCal region. Grocery chain Fresh & Easy looks for a bigger piece of the market with smaller express-style stores. Card clubs, American Indian casinos push for in-state online poker site. Card clubs and American Indian casinos have become card-carrying allies in a push to legalize in-state online poker in California. BANKING & FINANCE: Shortage of new blood could mean lack of future financing. Venture capital investment in L.A. companies was up sharply in the third quarter, but not everyone is ready to celebrate the news. TECHNOLOGY: MuckerLab offers mentorship program to local businesses. L.A. startups looking for a boost can now elicit the help of MuckerLab, a Santa Monica startup “accelerator” that launched last week to provide early stage companies with seed funding and mentoring. Revived project near W Hotel hailed as local lift. Neighborhood businesses hope a revived big mixed-use development will put Hollywood back in the spotlight. Previous Amgen cutbacks led to launch of businesses. Layoffs at Amgen could prove a shot in the arm to life science companies looking to staff up. IPC sees stock rise on strength of expansion strategy. IPC’s practice of managing hospital-based doctors has given a healthy boost to its stock. Santa Monica hotel adds mind-powered games to its bar. Bargoers at Casa Del Mar literally play mind games with NeuroSky’s brain-powered entertainment. Northrop touts aircraft with promotional video set to hard rock beat. Northrop rocks the boat with a music video for its aircraft carrier-launched drone. Valerie Fitzgerald thought reality TV was staged. Until she was put on a show herself. REAL ESTATE: L.A. Live- based AEG looks nearby to add office space. Gearing up for construction of its downtown L.A. football stadium, AEG is moving and expanding into new corporate offices that will give it a better view of the proposed development. AeroVironment craft used as weapon in Afghanistan. AeroVironment could get charged up from the military’s interest in the company’s exploding drone, which reportedly has been used in combat. A new report that ranks L.A. City Council members by their economic results could inject a little needed competition in City Hall, Charles Crumpley writes. Local tech companies struggle to get a line on new hires despite L.A. County’s high unemployment rate. New state fines to enforce worker classifications. Some local businesses fear a new state law could slam them with big bills if they misclassify independent contractors. Electric Carmaker Losing Its Buzz? China’s BYD rides into L.A. with fewer jobs. The big buzz over BYD opening an L.A. HQ has quieted as the electric-car maker’s sales have stalled. Trucking companies that lease vehicles to drivers at the ports may run afoul of the new regulation. A late-week rally on Wall Street, fueled by improving prospects to resolve the European debt crisis, helped the Los Angeles Business Journal’s index of largest local public companies make strong gains for a second straight week. L.A. County’s unemployment rate dropped slightly last month to 12.4 percent as teachers and other school personnel returned to work and local governments also increased their hiring. Kennedy Wilson has acquired stakes in three office buildings in the Los Angeles area in transactions totaling $111 million. City National Corp. reported a 20 percent rise in third-quarter earnings. The results fell short of Wall Street expectations as Los Angeles County’s largest local bank took its first provision for loan losses this year. Cathay General Bancorp said its third quarter profit jumped 67 percent as the Asian-American bank saw lower interest expenses and higher non-interest income. Hanmi Financial Corp. reported a profit in the third quarter thanks to lower credit losses. It also named Lonny Robinson as chief financial officer. East West Bancorp Inc. reported third quarter profit and revenue that was better than Wall Street expected and raised its full-year earnings guidance. Cheesecake Factory Inc. said that despite higher revenue, its fiscal third quarter earnings fell 6 percent after Hurricane Irene hurt sales at East Coast restaurants. Cherokee Inc. announced plans to move to larger offices in Van Nuys in order to accommodate its growth. Amgen Inc. has told 380 research and development employees, including 226 in Thousand Oaks, that their jobs are being eliminated. Aerovironment Inc.’s drone aircraft, primarily used by the U.S. military for surveillance, are now starting to be deployed as weapons in Afghanistan, an Army official confirmed in a media report. Environmental Group to Sue Railroads Over Pollution in L.A. The Natural Resources Defense Council is expected on Wednesday to announce a lawsuit against the two major railroads that operate in Los Angeles, alleging they produce harmful amounts of diesel pollution. Jakks Pacific Inc.'s third quarter earnings fell 14 percent on lower sales of its toys, missing Wall Street expectations. Malibu toymaker Jakks Pacific Inc. has completed its acquisition of Moose Mountain Toymakers Ltd., a Hong Kong maker of licensed arcade-style games, children’s vehicles and other toys. Michael Gorman writes that the public will pay more than its fare share for the state’s high-speed rail project. Image’s new faith-based unit to focus on discs. Distributor Image gets into the swing with religious DVDs through its new faith-based division Slingshot. Online file-sharing service rocked the music industry when it debuted in 1999. MANUFACTURING: Jakks shoots down takeover bid with eye toward big 2012. MANUFACTURING – Jakks rebuffs acquisition bid as analysts foresee bright future for toymaker. Back at You helps businesses boost sales by tapping social networks. Back at You hopes to help small businesses click with more customers through social network promotions. Local Arco owners allege BP policies have pumped up costs for franchisees. A local business woman’s bad encounter with an IRS agent became a taxing battle, Charles Crumpley writes. A target for takeover last year, more steady Hanmi adds staff. Koreatown’s Hanmi stock is rising and staff expanding only a year after facing collapse. New L.A. port facility would handle massive oil tankers. Houston company dives into L.A. port with plan for a terminal designed to handle massive oil tankers. Design center developer has raised the curtain on a career as a movie maker. Design center developer Charles Cohen used his real estate success to build a career in the movies. New parent to scrap trailblazer’s name, dismiss workers. Song is over for Napster as the once-outlaw website is sold and its L.A. headquarters closed. DINING: Bankruptcy of Mexican chain parent Real Mex may make room for more eateries in Los Angeles. Bankruptcy of Mexican restaurant chain Real Mex could make room at the table for new eateries in L.A.
ADVERTISING & PR: New office of Sard Verbinnen signs Groupon, Yahoo, others. New York-based investor relations firm Sard Verbinnen & Co. has signed an impressive list of clients since opening a Century City office in May. MANUFACTURING: Exxel CEO sees new high-end line bringing more jobs to L.A.
Exxel Outdoors has received plenty of press for moving its sleeping-bag manufacturing from Mexico and China to Alabama. BANKING & FINANCE: L.A.-area art gallery owner spurs drive to ditch big banks. Credit unions say they have seen a surge this month in inquiries from prospective members looking to leave big banks. REAL ESTATE: BRE to build $350 million project with residential and retail. After waiting two years for the economy to improve, developer BRE Properties Inc. broke ground last week on a $350 million apartment project in the up-and-coming Miracle Mile district. Howard Bragman joins online reputation management firm. Celebrity publicist Howard Bragman plugs into Redwood City firm managing clients’ online reputations. Occidental also tripped up by delays of drilling in California. Overseas unrest has helped fuel the recent stock swing for oil and gas company Occidental. OP-ED: Expedited review process for proposed football stadium may also benefit Wilshire subway project. Joel Epstein foresees a positive impact from California’s new expedited environmental review process. Kevin Korenthal never shies away from a challenge. UCLA medical center’s garage to offer patients automated parking. UCLA medical center will keep patients moving with a new automated parking garage. Former prosecutor now makes case for his low-calorie vodka. Former prosecutor’s cases now include bottles of his low-calorie, fruit-flavored vodka. Psychologists launch detox program to help the recently divorced. Pair of psychologists debut postmarriage detox program for recovering divorcés. Analysts say Big 5’s undervalued shares were too good to pass up. The ball bounced Big 5’s way as investors scored a stock surge in the sporting goods chain. HEALTH CARE & BIOTECH: Providence doctors to share patient data, best-care practices. Catholic hospital chain Providence Health & Services, Southern California is forming a partnership with its physicians that it hopes will enable them to better compete under federal health care reform. Former Los Angeles City Attorney Rocky Delgadillo has been hired as chief executive of the Los Angeles County Medical Association, the area’s largest professional organization for physicians. The Los Angeles Business Journal’s index of largest local public companies rose 5.5 percent for the week after more optimistic investors fueled a Wall Street rally. Strong worldwide sales of its Barbie and "Cars 2" toys contributed to a 6 percent rise in third-quarter earnings for Mattel Inc.
DineEquity Inc. has signed an agreement to sell 17 company-owned Applebee’s restaurants to a Florida company that already operates franchises in two states. Lions Gate Entertainment Corp. has arranged the sale of $134 million of shares owned by activist investor Carl Ichan, who had once attempted to take over the company. Enova Systems Inc. expects to report third and fourth quarter revenue that is “materially below” what it saw in the first half of this year. Dole Food Company Inc. has acquired SunnyRidge Farm Inc., a Florida berry producer, for an undisclosed amount. The formerly bankrupt Kyoto Grand Hotel and Gardens in downtown Los Angeles has been sold, and will be reflagged as a DoubleTree by Hilton, the property’s new management company said. Shares of Joe's Jeans Inc. fell 26 percent in after-hours trading Tuesday after the apparel manufacturer and retailer reported an unexpected loss for its fiscal third quarter on write-downs and lower wholesale revenue. Ezri Namvar, the Brentwood real estate investor convicted of federal wire fraud charges, has been sentenced to seven years in federal prison. 99 Cents Only Stores has signed a definitive agreement to be acquired by affiliates of Ares Management LLC and the Canada Pension Plan Investment Board for about $1.6 billion. Business Journal makes its case for L.A.’s top lawyers who shepherd the biggest M&A deals. SPECIAL SECTION: This year, the Business Journal shines its spotlight on the dealmakers: the L.A. lawyers who pull off the biggest mergers and acquisitions. Prominent attorneys in Los Angeles handle deals with a lot of zeros. The highlight of David Anderson's past year was the closing two different multimillion-dollar corporate sponsorships for X Prize Foundation in May. Andred Apfelberg's biggest deals include the sale of OPI Products to Coty and the sale of Fiji Water to Roll International. Lawrence Braun was kept hopping this year when in one during one eight-week period he completed six M&amp;A transactions, completed a financing, signed a definitive sale agreement to sell a unit of a public company, signed a definitive purchase agreement to acquire a private company, signed a merger agreement to sell a private company to a public company, closed a bankruptcy acquisition, and signed five letters of intent to buy and sell various businesses. Jeffrey Cohen says his most difficult deal to date was representing of News Corp. and Fox Entertainment Group in the sale of the Los Angeles Dodgers to Frank and Jamie McCourt. Linda Curtis' biggest deal to date was Del Monte Foods Co.’s $5.3 billion leveraged buyout by KKR and other investors this spring. Florist shops may oppose FTD move into grocery stores. FTD’s proposed move into grocery stores may sow seeds of displeasure with its online florist network. Matthew Ertman's biggest deal to day was representing a large foreign investor in the acquisition of an interest in a large slate of film and television properties for in excess of $500 million. Henry Fields says his best career moment was conceiving and structuring the recapitalization and sale of AmericanWest Bank in 2010 in a sale by its bankrupt parent, which prevented the bank’s failure. BANKING & FINANCE: More than half of unit’s 1,200 employees work in greater L.A. area. The decision by Bank of America Corp. last week to shutter a unit of its mortgage lending business is expected to hit Southern California particularly hard. Downtown L.A. developer Izek Shomof is breaking ground on a new kind of project: committing his life story to film. Elizabeth Foster's best career moment to date was closing a $100 million IPO on the Swiss stock exchange for my client Leica Geosystems, which at that time was the largest ever IPO for Switzerland. Web video company dresses up HQ with graffiti gang attack. Web video company Skee TV is making its marks with a graffiti gang tableau at its headquarters. Gordon Bava is known as one of the town’s veteran corporate dealmakers, but he made news this year wearing a different hat. Prescriptive provides tailored playlists for eateries, hotels, spas. Eateries, hotels and spas have taken note of Prescriptive Music’s special mood-setting playlists. EcoXOXO fills shelves with goods made with recycled items. EcoXOXO hopes to see green with environmentally minded products made from recycled items. End of Line for Free Rides? Charles Crumpley says Metro is on the right track with fare-enforcing subway turnstiles. Move comes despite state bill that limits adoption of bans. Nonunion contractors continue to push bans on project labor agreements despite a new state law that limits the adoption of the bans. NON-PROFIT: City Council members get hard data on district performances. Los Angeles Area Chamber of Commerce employs its own report to push job creation with the City Council. Popeil hopes his name adds dose of healthy sizzle to product. Late-night TV’s gizmo pitchman Ron Popeil looks to reheat his career with an olive oil fryer. Dole stock tumbles despite resolution of pesticide lawsuits. Dole’s European exposure has taken a bite out of the food giant’s share value. OPED: Local cities must go beyond poaching each other’s businesses and focus on attracting new companies to region. Christopher Hills urges local cities to look beyond Los Angeles County’s border to attract new businesses. Celines Toribio wants to protect the money flowing from the Colorado River to the tourism industry. Ken Baronsky was just out of law school when he was assigned a leveraged buyout case that made him wonder whether he had chosen the wrong profession. Location agency Real to Reel sees fees dry up as TV dramas leave California, drawn by rival states’ subsidies. Location agency Real to Reel has sustained dramatic losses as lots of production has fled the state. Movie producer mailed a recommendation of a Chinese eatery to some show biz friends, which led to the launch of his Restaurant Newsletter. Film producer Jay Weston has a full plate penning restaurant reviews and writing for the Huffington Post. TECHNOLOGY: PixelMags’ subscription app to be on new Apple device. A Century City tech company is already benefiting from news of Apple Inc.’s latest iPhone, and the device hasn’t even hit stores. Samantha Good's clients over the years have included Golden Gate Capital, Oaktree Capital and Gryphon Partners. Tom Hopkins has focused his corporate practice on up-and-coming media and technology companies in Los Angeles and the Bay Area. Chelsea Grayson's biggest deal to date was representing Deutsch Group in its sale to Wendel Investissement, a French private-equity firm. Track looks to spur racing after mall plan flops. Santa Anita Park bets on social and new media to boost business after plans for mall at horse track fall apart. Cerberus elbows Casden out of Movietown project. Alan Casden’s estranged partner Cerberus is looking to sell their joint properties – to anyone but him. San Pedro leaders hope an influx of college students and U.S.S. Iowa’s arrival will buoy downtown. 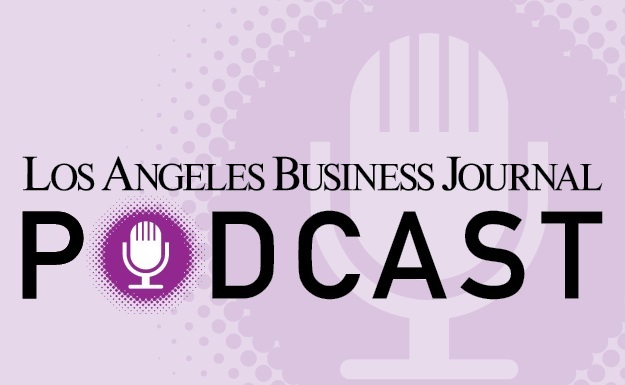 The Los Angeles Business Journal’s index of largest local public companies edged up slightly for the week despite lingering investor concerns about the European economy. Walt Disney Co. said Chief Executive Bob Iger will step down from that role in March 2015, as part of a larger succession plan that also has Chairman John Pepper retiring from the board next year. Tetra Tech Inc. has been awarded a contract valued at up to $55 million to provide research and development support for pollution prevention programs of the Environmental Protection Agency. The Port of Los Angeles will not challenge a federal appeals court ruling that threw out a controversial part of the port’s Clean Truck Program so that the port can't force trucking companies to hire their drivers. BreitBurn Energy Partners LP has further expanded its presence in the Rocky Mountains with the acquisition of 255 acres of oil and gas properties for $283 million. Veggie Grill, a seven-location restaurant chain offering a vegetarian take on American comfort food, has completed a third round of equity funding to support expansion. Contour Energy Systems, an Azusa developer of advanced battery technology, has raised $20 million in a Series C funding round. Houston’s National Oilwell Varco has completed its acquisition of Ameron International Corp. in a deal valued at about $777 million. Jakks Pacific Inc. has turned down Oaktree Capital Management's proposal to take the company private, calling the $670 million bid “inadequate." Streaming video service Hulu LLC has signed a deal with Spanish-language TV giant Univision Communication Inc. to carry hundreds of hours of novellas and other Univision shows on its site starting later this year. Electro Rent Corp.’s profit jumped 63 percent in its fiscal first quarter as the Van Nuys seller and leaser of computers and other technology equipment saw more lease and rental business here and overseas. Windes & McClaughry Accountancy Corp. of Long Beach has agreed to merge with Burr Pilger Mayer Inc. of San Francisco, creating what they say will be the largest California-based accounting and consulting firm by revenue. Rand Corp. has selected one of its senior managers, Michael Rich, as chief executive and president. On-location production days surged 16 percent in Los Angeles during the third quarter of 2011, acording to FilmLA Inc. Increases came in features, television, commercials and small projects. Dole Food Co. announced a definitive agreement to settle 38 lawsuits from farm workers who alleged injury from exposure to the pesticide DBCP. Consumer electronics retailer Best Buy Co. is selling the subscribers and other assets of Napster to Rhapsody International Inc., a competing online music subscription service. The nation’s largest plastic bag maker has filed suit against Los Angeles County trying to overturn an ordinance that bans plastic bags and requires retailers to charge for paper bags. CB Richard Ellis Group Inc. has changed its corporate name to CBRE Group Inc., effective immediately. Suspended-Camera Maker Lowers Boom on L.A.
New Texas HQ gives CableCam a line on football stadiums. Chatsworth maker of cable-suspended cameras for football games will slide its HQ to Texas. Cancer survivor and war veteran linked up to launch AutoRef.com. After battling cancer and Afghan rebels, the co-founders of AutoRef.com found it easy to launch a car-buying site. Nasdaq warns CyberDefender of potential delisting. Financial issues have left security software firm CyberDefender open to Nasdaq delisting. How do the brainstorms of university professors and grad students get turned into rainstorms of cash in the business world? This special section explains how technology transfer is accomplished at the three L.A. institutions best known for their prowess in obtaining patents and licenses, and for creating companies to commercialize their innovations. INNOVATION/TECH TRANSFER - KITE PHARMA INC.
Kite Pharma is developing an immune activating therapy aimed at stimulating the patient’s immune system to fight cancer cells of different tumor types. Is She on The Level? Pan maker sees sales rise with special line for topsy-turvy cakes. Kaye Hartman’s topsy-turvy cake pans have business leaning her way. OP-ED: Private-sector support remains strong for high-speed rail project that will create much needed jobs. Thomas J. Umberg believes California is headed in the right direction with high-speed rail. Ervin Cohen & Jessup LLP partner Tom Sestanovich has had a storied athletic career – despite losing his right leg to a rare form of cancer as a teenager. When USC Stevens Institute for Innovation was created five years ago, it represented a change in the university’s approach to turning inventions into companies. Its role is to give students and professors more resources for developing new technologies and forming companies. Caltech patents as many as 140 inventions every year, making it one of the most active filers in Los Angeles County. But the Pasadena research university has only been helping professors and students commercialize that technology for the past 16 years. Attorney gave up his comedy career for a seat at the table with some of real estate’s biggest movers and shakers. A funny thing happened on the way to a comedy career for L.A. power-player attorney Lew Feldman. In the early years of UCLA’s Office of Intellectual Property, professors and donors were critical of the technology-transfer program. They said it failed to turn out successful startup companies and wasn’t doing enough to license its technology to local corporations. SDS helps backers of social projects cobble together funding. Strategic Development Solutions helps backers of community-minded projects find money. Americhip can attach mini movies to paper ads and manuals. Gift-card product company Americhip’s big picture is changing with its new tiny video screens. INNOVATION/TECH TRANSFER - MICROSKIA INC.
UCLA Professor Aydogan Ozcan and his team at Microskia have invented a technology for a very small, light optical microscope suitable as an inexpensive attachment to a cell phone or a portable instrument. Bruin Biometrics' SEM scanner device is a handheld apparatus that measures subepidermal moisture as a means to detect and monitor the development of edema. Guide Vests, developed at USC, are equipped with monitors to help blind people navigate. Malibu firm minds other businesses’ online reps.
A web entrepreneur boosts his profile with a company that tracks both a business’s credit and online reputation. REAL ESTATE: Mahalo.com opts for Culver City location in deal valued at $1 million. Santa Monica is losing a creative tech tenant to Culver City. Hard-sell from Costco clerks has Charles Crumpley ready to check out of the discount giant. Cred.fm, developed at USC, is the game you play by sharing the music you love. A player recommends songs to others in the network and – if the recommendation is listened to – then she gets influence points. Grandson hopes federal-city program helps him keep family eatery. Grandson of L.A. restaurant’s co-founders hopes a city-federal loan will keep the eatery in the family. TRADE & TRANSPORT: Group says recent ruling still gives L.A. port too much power. When a federal appeals court last week threw out the most controversial part of the Port of Los Angeles’ Clean Truck Program, it looked like a clear win for the trucking industry. Giggles N’ Hugs hopes high-end focus serves up tasty IPO. One-location restaurant Giggles N’ Hugs is all smiles as it embraces a plan to go public. Ninja Metric’s Katana Engine is a system that analyzes data from large social systems to show what is driving traffic, spending, quitting, etc. It also detects when a person is at risk of leaving. The Burlington Northern is laying tracks to build a $500 million rail yard in Wilmington. Small-Business Loans Have Little Impact in L.A.
BANKING & FINANCE: Area institutions receive only $61 million from federal program. The government gave out the final round of funds under its highly touted small-business loan program that closed last week, but don’t expect much of an impact in Los Angeles. Robert Amano, Mark S. Liberman and Gary L. Toebben would welcome visa reform and more visitors from abroad. Arges Imaging is a 3-D imaging technology company that has developed a handheld scanner that can directly scan teeth in order to create restorations such as crowns and bridges. Comfortable shoes that are stylish too proves a good fit for some stars. Dana Davis’ struggle with diabetes inspired her to address a more pedestrian challenge: the lack of fashionable, but comfortable footwear. Oversee retools staff to focus on new suite of website products. Oversee.net is shifting its focus away from the domain-name game and into managing and monetizing websites.